PROVIDENCE, R.I. — For states looking to profit off the new world of legal sports betting, there's an app for that. The question for state lawmakers: Should they allow it? As state legislatures across the U.S. decide whether to authorize sports gambling, lawmakers are debating whether the bets — like almost everything else in daily life — should be allowed to happen online or made only in-person. Among their concerns is that the accessibility of online betting, especially on mobile devices, could be a pathway for minors to start gambling and make sports betting more addictive. 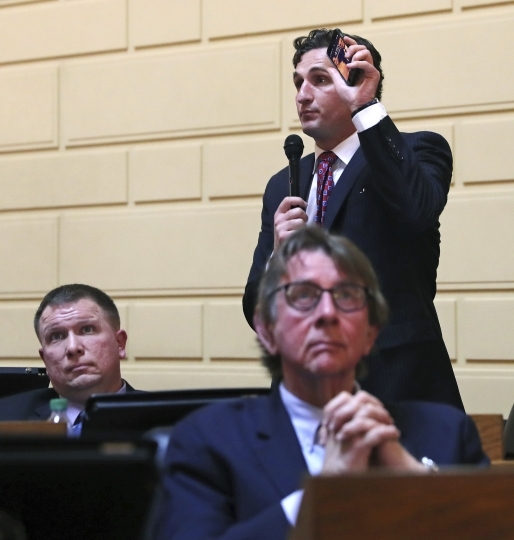 The debate was on display this past week in Rhode Island, where the Legislature sent a bill to the governor that expands the state's sports betting law by allowing wagers to take place online. 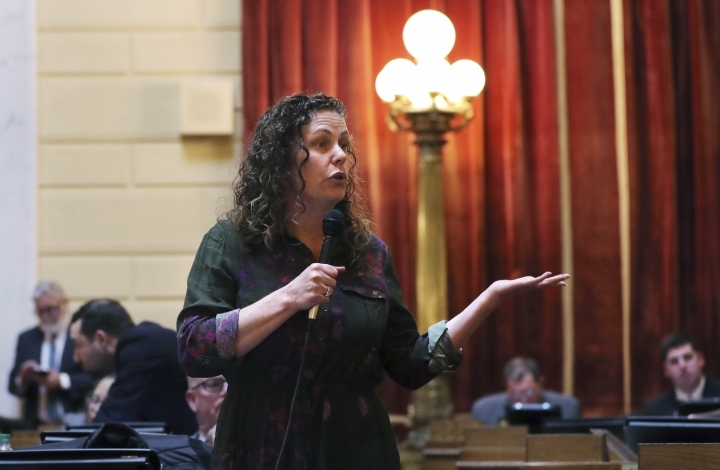 Rep. Teresa Tanzi, who voted against the bill, said she worries about giving people unlimited access to an activity that can be highly addictive. "We know cellphones are addictive and gambling is addictive," said Tanzi, a Democrat. "It's two corrosive elements together, and we don't know what those two things together will exponentially produce. I just don't see that there's adequate caution moving forward." She wants the state to launch a public awareness campaign to educate people about the signs of gambling addiction and to dedicate sports betting revenue to help problem gamblers. Tanzi also said that any mobile app designed to take sports bets should include information about how people can get help if they are developing an addiction. Rep. Anastasia Williams, who supported the addition of mobile sports bets, said Rhode Island needs to embrace technology. If it doesn't, she warned that gambling revenue will go to other states. "Change is here to stay," she said. A U.S. Supreme Court ruling last year opened the door to sports betting outside Nevada, which previously had been the only state where it was legal. Since then, seven more states have legalized it and it has been approved but not yet taken effect in Arkansas, New York and Washington, D.C. Bills are under consideration this year to legalize it in roughly two dozen states. Whether to allow sports betting on mobile devices is being considered in at least 14 states and has been a contentious issue in some of those, including Indiana. State Sen. Jon Ford wants bets to be taken online as well as at Indiana riverboat casinos and racetracks. "Everybody's using mobile to do all kinds of things we weren't 10 years ago," said Ford, a Republican. "It's the future. It's inevitable." He co-authored a bill passed by the Senate that now must pass a House committee, but the committee chairman is cool to the idea of allowing sports bets to be placed on mobile devices. Republican state Rep. Ben Smaltz said he views mobile betting as a significant expansion of gambling and major policy shift. He fears it could lead to more problem gambling and traditional casino games moving online. "If you're allowing sports gaming on a mobile device, what kind of expansion does that lead us to?" he said. "I'm comfortable with it in on the properties now, and I'm going to hear the bill. But it would be difficult to imagine a scenario where I, or certainly a large number of people in Indiana, would think it's a good idea to put mobile out there right now." In Arizona, state Sen. Sonny Borrelli is leading the legislative push to legalize sports betting, but his bill would confine it to tribal casinos and the bars and social clubs that partner with them. The Republican lawmaker said he is not planning to include mobile betting. Among other concerns, he said he's not confident in the technology to guarantee that gamblers playing online are over 21. Expanding sports betting will likely increase gambling addiction unless states adopt stronger regulations and companies adopt higher standards, said Keith Whyte, executive director of the National Council on Problem Gambling. For example, he said states should require that messages about responsible gambling be sent to people's phones as they're placing bets. In several states, the debate has included questions about whether lawmakers even have the authority to allow betting on mobile devices. Some lawmakers contend that it represents a major expansion of gambling and requires amending state constitutions. That disagreement has led the Rhode Island Republican Party to threaten a lawsuit over the bill passed last week. It says expanding sports betting to mobile devices should have gone to the voters in a referendum. "I support this type of gaming. I don't support moving ahead when there are substantial questions about its legality," said Republican Rep. Blake Filippi, the House minority leader. "I think we should be asking for an advisory opinion from the Rhode Island Supreme Court before we build our budget around it and invest in the technology." Some New York lawmakers, noting that New Jersey already is making money after legalizing sports gambling last year, want mobile betting included in a bill that would authorize in-person sports bets at Madison Square Garden, Yankee Stadium and other venues. Gov. Andrew Cuomo's administration maintains that it requires a constitutional amendment that ultimately would have to go before voters. Some lawmakers in Cuomo's own party disagree. 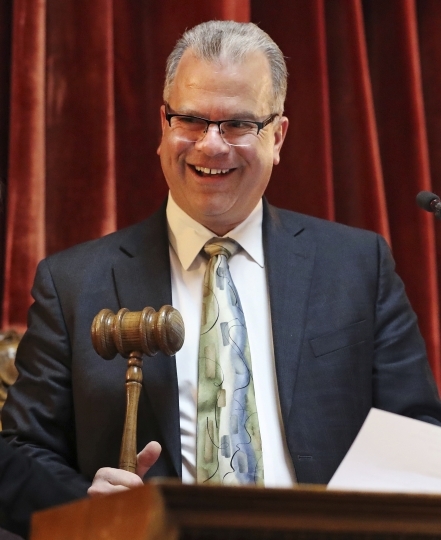 The state Senate's Democratic majority this past week proposed an expansion of legalized sports betting, including on mobile devices, as part of next year's budget. They see it as way to generate money to help close a projected $3 billion deficit. The companies pushing legalized sports gambling say allowing the bets on mobile devices is a way to get rid of the existing black market. James Chisholm, a spokesman for the online fantasy sports and sports betting company Draft Kings, said the company's app offers protections that include age verification, limits on how much time people can spend on it and caps on how much money gamblers can deposit. "I promise you that the offshore sportsbook in Costa Rica is not going through an age-verification process," he said. Associated Press writers Jonathan J. Cooper in Phoenix and David Klepper in Albany, New York, contributed to this report.